Taffy never goes out of style! Whether you’re young or old, you can’t resist a piece of our old-fashioned taffy. 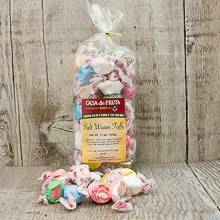 Try our chewy Salt Water Taffy today, and make sure to buy plenty to share with friends. Packaged in a 12 oz. bag.